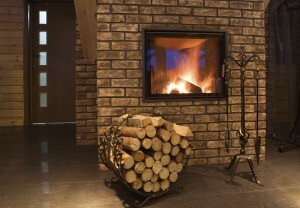 Your brick fireplace was built to last for many years, but despite its durability it is not immune to everything. 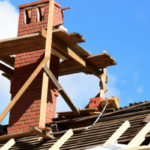 There comes a point in time when your brick fireplace will require some restorations in order to combat the unavoidable build up of grime, soot, and stains. Fireplaces by nature are messy and over time this ‘mess’ has an impact on the overall appearance of your fireplace. No need to worry, all you need to know is how to restore your fireplace to look like new. Here are some of the best tips and tricks for restoring your fireplace and breathing new life into your home. If the build up of stains on your fireplace is not too bad you might be able to restore your fireplace with simple dish soap. As a natural degreaser, dish soap is such a handy tool, plus it is gentle enough not to harm brick or discolor grout. How To: Mix dish soap with water and use a sponge or gentle scrub brush to do some good old-fashioned scrubbing. It shouldn’t take long before you can tell if your efforts are paying off or not. If you don’t see a change in appearance no matter how hard you scrub you will need something stronger than soap and water alone. Vinegar will give you a little more pep in your scrub than dish soap thanks to its acidic makeup. Vinegar is commonly used to clean stone, grout and brick, so fear not when using. How To: Create a 50/50 mixture of water and vinegar in spray bottle. Spray generously onto the brick. Let the vinegar and water combination sit for a few minutes, letting it soak in and work its magic. Then, grab your sponge or soft brush and start scrubbing. If dish soap and vinegar both let you down you can head to your local home improvement store and pick up some brick or stone cleaner. These cleaners are specially formulated to remove soot and charcoal. 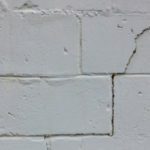 Depending on the type of brick cleaner you purchase the instruction manual will vary; follow carefully for best results. Many people paint their fireplace, especially if it is old, dirty or full of chips and minor aesthetic damages. Painting over an old and worn fireplace is a quick and easy way to make it look brand new. What’s not so simple is when it comes time to remove fireplace paint. In order to restore a painted fireplace you will need to remove the paint before anything else. It’s not easy, but it is possible. In order to remove the paint you will need a paint stripper, which you should apply to a small and discrete location on your fireplace just to make sure the stripper will not damage the brick. Wear gloves and goggles when applying paint strips. Carefully follow manufacture instructions, which will include something along the lines of spreading the paste using a trowel or similar tool. Next, let it sit for ‘x’ amount of time and check progress by lifting a small piece of the strip to see when all of the paint has dissolved. The waiting part may take up to 48 hours. Once the paint strips are removed you will then work to scrape off as much remaining paint as you can. Next, spray bricks with water and then let soak for 5-15 minutes, repeat scrubbing with water. Help! My Bricks Are Not Coming Clean! If your fireplace is really dirty it may take more than a couple of times using any of these methods to get it looking fresh and restored. Soot and charcoal are really hard to erase, especially if they have had a chance to sit and soak in. Regularly cleaning your fireplace is highly recommended. When Is It Time To Hire A Professional For Restoring Brick Fireplace? 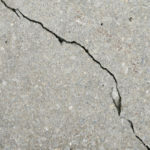 If at home methods are not working you may want to consider hiring a masonry professional to take care of the task. Our fireplace restorations range to include miner clean ups to majorly neglected fireplaces in need of a lot of work. No matter the job we can get it done! 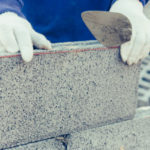 If you are looking to restore your fireplace like new, contact Turnbull Masonry today.